Rene and Frank's Chicago wedding was timeless and classic, with an industrial twist! The florals, color palette and attire choices were SO Chicago! They were formal and elegant, with a touch of timeless glamour. I mean, do you see Rene's dress? GORGEOUS! These two had a really fun wedding party- Rene's girlfriends were so doting and sweet during the prep time and Frank's group was really laid back. Their wedding venue is 100% industrial chic. Morgan Manufacturing is a great space! The brick walls and hardwood floors are stunning. The couple held their ceremony and reception on-site. The greenery garland that lined the aisle was so lush and romantic. And the way Rene and Frank locked eyes while fighting the tears was chill-inducing! They are SO in love! We love these two and wish the ALL the best! 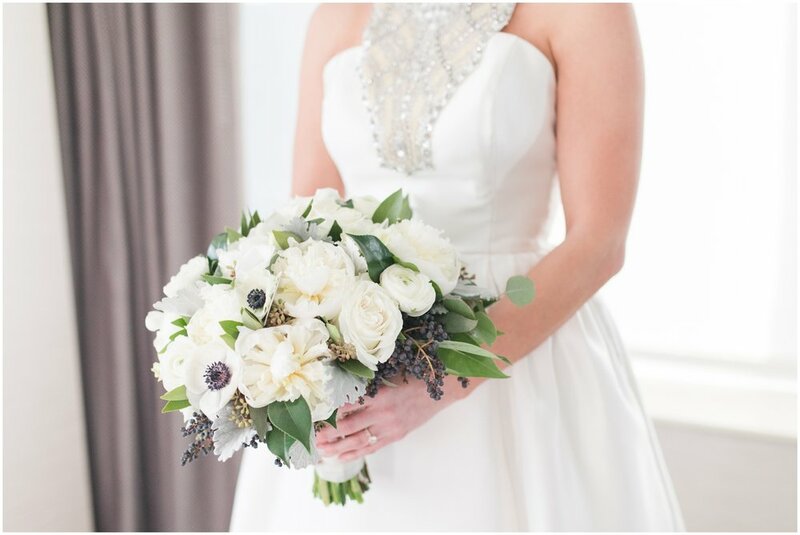 Be sure to check out the Black Tie Bride feature too (click here)!